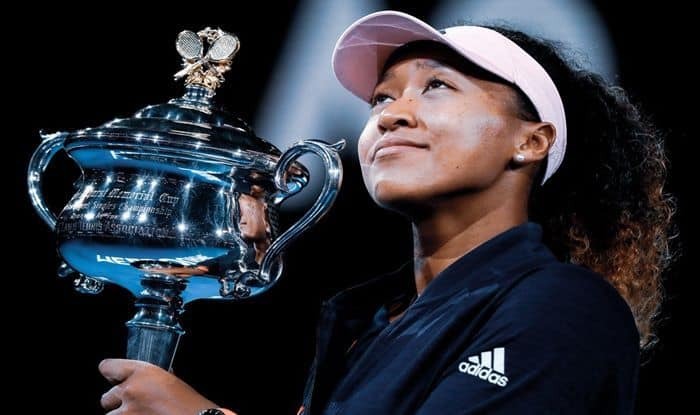 Osaka cried with joy and smiled as she became the youngest woman to win back-to-back majors since Martina Hingis in 1998 and the youngest number one since Caroline Wozniacki in 2010. Exactly, one year ago Japan’s – Naomi Osaka was world number 72 and today she is world number one. Young Osaka held her nerves to battle past Petra Kvitova to win the women’s singles Australian Open title in a three-set thriller at the iconic Rod Laver Arena on Saturday. With this, she also became the first Asian tennis player (male or female) to achieve the coveted world number one ranking. The fourth seed and US Open champion triumphed 7-6 (7/2), 5-7, 6-4 in a 2hr 27min epic over the Czech eighth seed to claim back-to-back Grand Slams. The Japanese youngster fell to one knee in celebration, head bowed, as Melbourne Park erupted in thunderous cheers. “I felt like I was in a state of shock through the entire trophy presentation,” the 21-year-old said. A rattled Osaka almost blew her title hopes with one hand on the trophy when she failed to convert three championship points leading 5-3 in the second set. The never-say-die Kvitova forced a deciding set before Osaka finally edged ahead with a decisive break early in the third. Her jubilation was a marked contrast to Osaka’s maiden Slam win last year, when she tearfully hid her face as boos rang around Flushing Meadows in the wake of losing finalist Serena Williams’ tirade at the umpire. This time, Osaka cried with joy and smiled as she became the youngest woman to win back-to-back majors since Martina Hingis in 1998 and the youngest number one since Caroline Wozniacki in 2010. Predictions of a slugfest between two of the game’s biggest hitters proved accurate as the pair went toe-to-toe in the first set. They had never met before and Osaka initially struggled to unlock the lanky left-hander’s serve, while Kvitova at times could not handle her opponent’s powerful returns. Nerves took hold as Osaka conceded a break to make it 5-5, smashing a ball into the ground and putting her hands over her ears. The Czech broke again to seize momentum with her fourth straight game, claiming the set as Osaka left the court with a towel draped over her head.